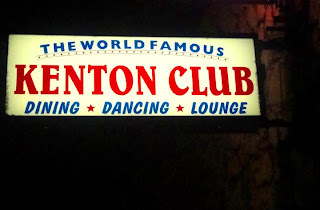 The Kenton Club is a very nice neighborhood spot with good live music, no cover, and an amiable mix of hipsters and grizzled, white-bearded oldsters. The "world famous" part apparently comes from its use in the Racquel Welch movie "Kansas City Bombers." I visited the KC during the secret crawl portion of TikiKon VII Speakeasy event, and while we didn't exactly fit in, the back patio was quite welcoming.